Brian Finch and Ken E Henson, regarded as one of South Africa's most dynamic duos in the late 70's and early 80's are getting together for a nationwide tour to promote the release of their solo cds - Finch's highly acclaimed "Hero of Heroes" and Henson's "Another Time, Another Place" - and to rekindle the fire of their energetic live performances. The Rock - Brighton Beach - Wednesday 23rd October (to cater for people in the Bluff/Queensburgh areas) Tickets at door from 4:30 p.m., cash bar available. Glenwood Old Boys Club - Durban - 12 Radar Drive (Behind Hyper by the sea) - Friday 25th October. Tickets at door from 4:30 p.m.
Cliffy's Country Pub - Pietermaritzburg - Saturday 26th October - Tickets at door from 4:30 p.m or Call (033)396-6710. Johannesburg, Pretoria & Namibia dates to be announced. 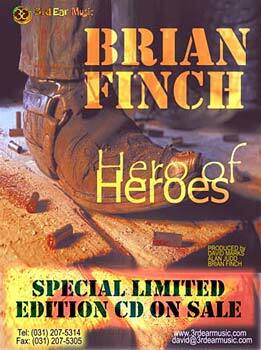 Brian Finch gives Owen Coezter the low-down on his new - as yet commercially unavailable CD album Hero of Heroes. FINCH slams in like a hurricane. He sweeps past the Victorian coat rack in the narrow entrance, setting rain cloaks and jackets swinging like pendulums and sets my dogs off like barking alarms in High-C and D-flat I haven't seen him in five or six years but it's as if we said goodbye yesterday. He has not changed much - tall and rangy like a cowboy with long hair and moustache and high, tooled leather boots. He would have been a "natch" as an extra in High Noon. He's a trifle less angular now, from sitting on high stools with a guitar across his knees. That's how he's spent most of his life - when he's not cracking a wave. Or at Jay-Bay. There's no regret. I doubt if there ever has been. He used to handle an Ovation, and still does. It's the same one, be says, he's been flailing for 33 years. Brian Finch is the consummate country-rock musician and always has been. Now he has just emerged like a happy Hell's Angel from his birthplace, Durban, brandishing a freshly mastered CD, his first solo album for twenty-something years. And he's like a kid with a long board. "CD player!" he shouts. "Where's your CD player?" Finchy wants to know if need to close the front door while he redlines the volume, but I tell him the neighbours have been matured on Nine Inch Nails and Jane's Addiction Live. And an hour or two of Siegfried. Finch isn't Wagner, but he's sure a leg-end in his time. And he smirks as the dogs retreat downstairs and the s9und shakes loose some plaster from my 1879 house. No one comes running. The cops keep away. A car alarm goes off somewhere. "It's a masterful new album" I mouth at Finch, above his trademark chugging guitar, shifting like a locomotive through the speakers. It's not heavy stuff but Finch's music is all consuming. Always has been. And there's not so much a whiff of a lead axe. Right now, with intricate technology at his disposal, via Alan Judd's Leopard Moon Studios in Westville, Finchy sounds even better. Judd is co-producer with acoustic guitar legend Dave Marks and Finch him-self. It's the kind of technology that was never available when Finch was thrown into the musical deep-end at the age of 18 by Mel (Green), Mel (Miller) and Julian (Laxton) in Durban. "Sing, man," they told him. And he did. He played his first regular gig on the sedate Al Fresco hotel's verandah, in among the huge weeping palm trees on the Esplanade. Finch has played in London, done Stockholm, had his album Playgrounds in Paradise (with Kenny Henson) used as the sound track to a major surfing movie. 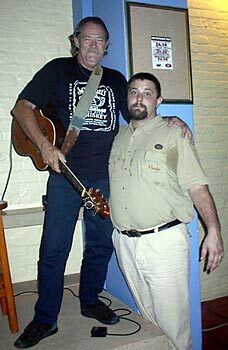 He's done folk festivals, inside concerts, open-air gigs. Name it, he's done it. 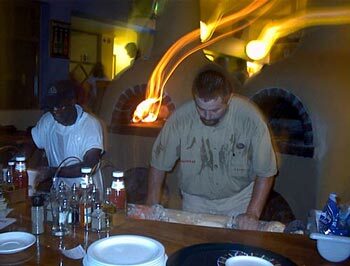 Now he lives in Cape Town, with regular slots at the Oak lodge in Gardens, and uses his hands "to build things". It's his "other" job. But it's the music that matters most. Finchy has never changed - the steamroller, galloping syncopated chords, and the flat country drawl, the agonising, beautiful self-penned songs. They've set him apart since 1966 and created 10 albums for him. He's called this one Hero of Heroes and it speaks of the open road, bikers, angels and freedom. It's vintage Finch, with a tribute to his daughter Tansy, and a song about his brother (Graham) who lives at Folley Beach in South Carolina, among others. But he lets loose with Ramsay McKay's seminal Orang Outang, adding extra words to this relatively unknown anthem of Africa. Music from a home-made Zulu violin (nDloko) introduces the track. Finch says: "I was in Dave Marks's lounge when this fellow walked past in Currie Road. playing this music. I shot up, ran out and grabbed him. He was playing just what I wanted for the track. His name is John Gcaba and we put him the studio and on to the CD." Another classic is Finch's arrangement of the traditional Freedom/Motherless Child - which Ritchie Havens made famous at Woodstock. A symphonic synthesizer, nudging itself through the bridge, adds a superb, ethereal, shivering touch. But Finch's final track is beautiful. He's called it Positively No Bob Dylan, and it's an ironic catchy throwaway. He says: "I wrote it after seeing Bob Dylan in concert at the Wembley Arena in London last year - that was a gas." So is the album. "We put it all together in six weeks," says Finch, modestly. "It was a superb time." And from the master of country rock, a superb album. Catch him at Flags, Sundays at 5pm. With Finch are Alan Judd (guitar, keyboards), Alan Bowen (bass and percussion), Mary-Ellen Blackman (backing vocals) and Dan Chiorboli (percussion).